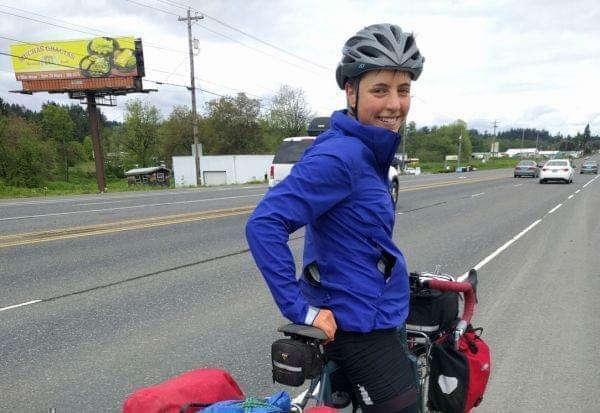 Kerry Gross is riding coast-to-coast on a bike, finding America's most inspirational women and sharing their stories on her podcast, "Women Who Dare." On the 21st: After reading a story on the back of a Clif Bar wrapper about an adventurous guy and his guy friends, Kerry Gross decided the world needed to hear more stories about inspriring women. We checked in with her during her coast-to-coast biking adventure ahead of her visit to Illinois. Plus — reports of elder abuse have increased in Illinois. We also take a listen to Steve Leaf and the Ex-Pats new album.